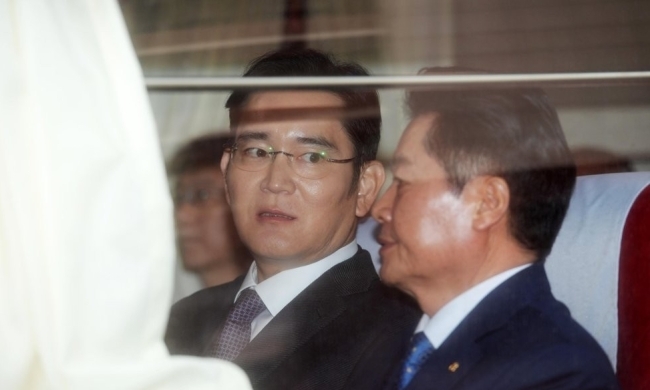 To attend a town hall-style meeting with President Moon Jae-in at Cheong Wa Dae, conglomerate leaders boarded a chartered bus at the Korea Chamber of Commerce and Industry building in central Seoul. 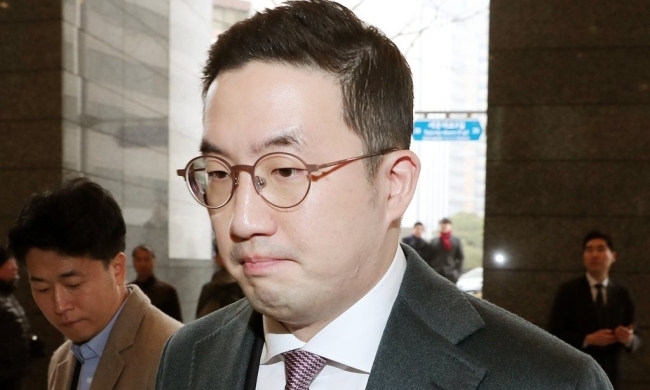 One by one, the top business leaders of the country began arriving at the building some three hours before the meeting was scheduled to start at 2 p.m.
Hyundai Motor Group’s Senior Vice Chairman Chung Eui-sun was first to arrive, attending on behalf of the South Korean carmaker’s chairman and his father, Chung Mong-koo. 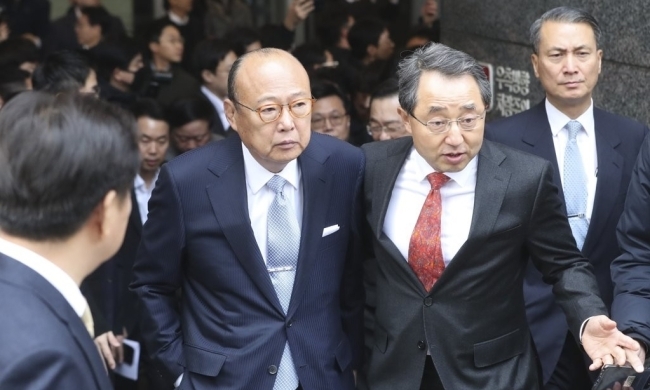 CJ Group Chairman Sohn Kyung-shik and LG Group chief Koo Kwang-mo, the eldest and youngest attending the meeting, respectively, arrived next, followed by KT Chairman Hwang Chang-gyu, Shinsegae Group Vice Chairman Chung Yong-jin, Hanhwa Group CEO Kim Seung-yeon and Lotte Group chief Shin Dong-bin followed. 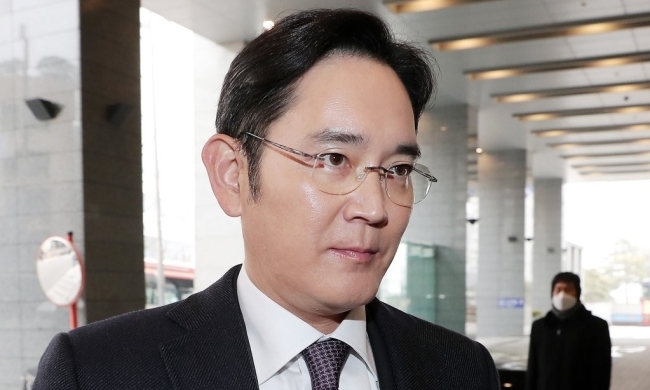 Samsung Electronics’ Vice Chairman and de facto chief Lee Jae-yong arrived 20 minutes after first arriver Chung of Hyundai and joined the rest of the top executives at the executive conference room inside the KCCI building. SK Group Chairman Chey Tae-won was last to arrive. Chartered buses took the corporate heads, 39 midsized enterprise leaders and 61 chiefs of the KCCI and local chambers of commerce to the presidential office. Tuesday’s meeting marks Moon’s second recent get-together with business leaders, the first one being a Jan. 7 meeting with representatives of small and medium-sized enterprises and startups.